Please agree to our Cookies Policy. As a Supply Chain or Operations Director – you know you have to get all four areas of the Sequoia wheel right to give your business a competitive edge. Our Capability Building approaches are designed to develop the internal capabilities of our clients. 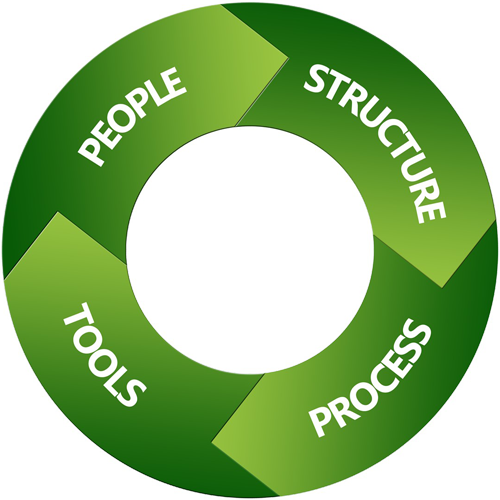 We believe that delivering a lasting improvement means having the right processes run by good people with effective tools. Put simply, your network is the foundation on which your Supply Chain is built. It is a key determinant of your cost to serve and the ease with which your business provides great service to your customers. So it makes sense to ensure it’s in the best possible health. Which means the right sites, doing the right things, in the right places to deliver your strategic vision. Are you OK to work that out? All Supply Chain professionals recognise the difficulty in determining the specific, complex and interlinked trade-offs that exist within every Supply Chain. It sounds obvious; a Supply Chain has to be designed to enable the business to deliver what your customer requires – in terms of service levels, response times, agility and product mix. Since the beginning, Sequoia’s Tools offering has developed from highly complex, though admittedly somewhat impenetrable spreadsheets through robust Excel-based tools and into the latest incarnation: graphically interactive web-enabled services. Each iteration has had the same objective: to provide tools that enable Supply Chain teams to use their data to make informed, economically sound decisions and to facilitate insightful discussions. Our Learning Programmes have been shaped and informed by over two decades of Supply Chain consulting experience – and are renowned for their innovative style, thought-provoking content and practical application. We focus on Capability Building; supporting client Supply Chain teams and those who interact with Supply Chain function with both the technical and communication skills to fulfil their role effectively. Complete and submit the form below to send your message to us. We will reply to you very soon. Thank you for sending a message. Read our Privacy Agreement and Cookies Policy. Changed your mind about cookies? Click here to clear our cookies.